Just because your call handlers may already be good, doesn’t mean they don’t have room for improvement. We Care Plumbing, Heating Air and Solar, is a Nexstar member and an award-winning Heating, Cooling, Solar Power and Plumbing Contractor serving Southern California homeowners. Based in Murrieta, California, We Care provides furnace, air conditioner, solar power and plumbing services to their primary service areas. The business opened in 2000 and currently has roughly 200 employees, about 20 of these being in the call center. Although We Care has been in business for 17 years, when CallSource’s call tracking and performance management system was introduced to them at a Nexstar event, it was evident that CallSource provided solutions that they needed. 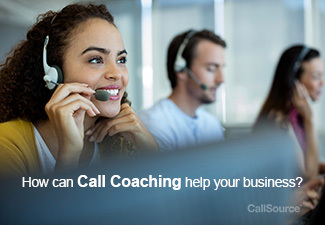 We Care signed up with CallSource in late 2016 in order to get further insight into their marketing performance, recapture money from missed opportunities and, most importantly, utilize our employee performance tracking tools – CallSource’s Telephone Performance Analysis (TPA) report and Call Coaching services. We Care set a goal in 2017 to have more training-enablement tools to gain better insight into their call handlers’ performance, as well as grow their call center. With their new Call Center Manager, Shannon Woolson, joining the team in January, there were lots of changes to be made. Without a proper performance management tool in place, they couldn’t quite benchmark their current performance and set clear goals and expectations for the current call center team members. We Care also wanted to create team unity – there was a want and need to bring everyone together to work on call handling skills and behaviors, encourage team rapport and build a collaborative environment. A universal problem We Care had was that enough incoming leads were coming in, but there were too many missed opportunities. Their motto “Do not let the customer go” was shared from management with the call handlers. They had enough installers and sales team members to go out to homes, but weren’t setting enough appointments internally to even get to capacity. In January of 2017, just a few months after onboarding with CallSource, We Care implemented Call Coaching for their current 12 call handlers. New to her position with We Care, Woolson didn’t have too much input or knowledge on her call handlers to see what areas they needed extra help in, or where they were making or missing the mark. Call Coaching allowed her to focus on important managerial tasks, while enabling her to quickly identify improvement opportunities. Woolson used CallSource’s Telephone Performance Analysis (TPA) score cards and their coaching sessions. Employees began scheduling and attending their Call Coaching sessions in February 2017. Shannon makes sure to be involved with the team’s coaching sessions as well, since coaching is not completed with each session, but must be followed up on and engrained in the employees on a day-to-day basis as well. As the call handlers’ manager, she knows that it is also a part of her duties to guarantee that the call handlers are retaining and following through with the skills they are being coached on during their sessions in the office. She says, “Yeah, you could save time if you just never listen to any recordings and hope that your agents are doing the right thing on every call, but the reality is, everybody gets in a hurry.” Empathy is lost, along with skills for overcoming objections, which Shannon noted her team did not have when she took over at We Care. Shannon not only has her CallSource advisor at her disposal to help set goals and stay on track, but she has open communication with We Care’s call coach as well. Shannon takes the time out of her schedule to sit in on every team session and listen to the calls that Mary, their call coach, has coached on. This way, Shannon can continue coaching within the office in the interim between sessions and make sure her team is able to maintain their skills and call quality that they are working on. After only three months of Call Coaching, We Care improved their overall conversion rate from 74% to 78%. With an average of 151 calls per month while on coaching, this means that based on CallSource’s average blended ticket price of $450, they booked an average of 118 appointments per month, adding over $14,000 per month to their bottom line (over $42,000!). For managers who think that their employees are already performing at the best they can, Shannon says “That’s not the case. There’s always room for improvement.” She and her employees proved already within 3 months of coaching that there is room for improvement, and they plan on continuing at this same pace in the coming months.